Is Cabernet King in Canberra? Cabernet Sauvignon: King of the Grapes. Most noble of them all. Incomparable: that’s what they say, anyway, those die-hard, tea-like tannin-addicted Bordeaux admirers. Let’s jump in to a bottle or two, shall we? Cabernet Sauvignon (or cab sav, as we love to call it in Australia) is one of the most widely planted and popular grape varieties around the world. It grows well in a wide range of climates, although as it is late to both bud and ripen, cab sav is better suited to climates with long, warm seasons with smaller variations between day and night temperatures. The marginal climate and gravelly soils of Bordeaux are recognised as producing the ultimate expression of cabernet, especially in the warmer vintages, although it is always blended with merlot and cabernet franc. Australia’s most famous cabernet growing regions are Coonawarra (with its world famous ‘terra-rossa’ soil) and Margaret River. Coonawarra tends to make bold blackcurrant, liquorice and eucalyptus/mint driven wines, whilst Margaret River cabernet tends to be more medium-bodied, structured with fine tannins, with flavours of cassis, cedar, and red berry flavours. Barossa, McLaren Vale and the Clare Valley produce a robust, full-bodied cabernet, exuding blackberry, blackcurrant and chocolate flavours. But what about Canberra? Can Canberra cabernet, at its best, compete with the likes of Margaret River or Coonawarra (noting the Coonawarra is often classified as cool climate). Our experience has been that Canberra’s more recent vintages (2010, 2011 and 2012) – relatively cool and wet – were not kind to Canberra cabernet in denying the opportunity to fully ripen. That said, there are still some very pleasant, early drinking examples about. In the warmer vintages, particularly from 2005 to 2009, we’ve tried some very good, flavoursome Canberra cabernets and blends, including Dinny’s block from Mount Majura, Trio from MacKellar Ridge, and Dorothy May from Pankhurst. 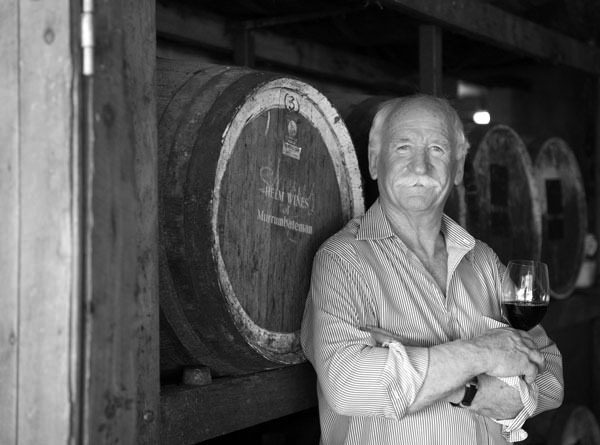 One person who has shown some commitment to cabernet in Canberra is Ken Helm, who makes both a cabernet ($26 cellar door) and a Reserve cabernet ($52 cellar door). The Reserve’s first release was in 2005 and it received wide acclaim and wine show success. We decided to dig one out of our cellar, and put it up against the iconic Wynns Black Label Coonawarra Cabernet and the Taylors St Andrews Cabernet, both from the same 2005 vintage. 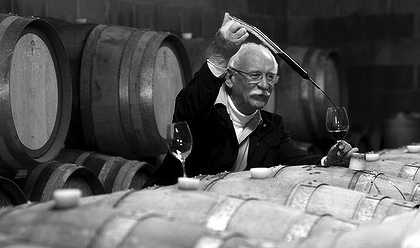 All decanted wines were decanted for a few hours to ensure they were showing their best. The Wynns Black Label was pretty good, with blackcurrant, plums, chocolate and cedar, but with a coffee/vanilla oak that one of us found distracting. The Helm Reserve Cabernet was really a surprise pack. It had depth, complexity and length. Violets, blackcurrant, blackberry, blueberry, cedar, earth and a toasty/spicy oak. Wine of the night for one of us. The Taylors St Andrews was divisive. There was no question it was the most concentrated, but one of us found it relatively simple (due to its alcohol showing), while another other enjoyed the blackcurrant, plum, mint and vanilla flavours. Our third taster declared it ‘Wine of the Night’. What did it prove? In an warm to hot vintage with a long, even ripening season, Canberra can make very, very good cabernet, although it is probably too cool to regularly reach the high levels of Margaret River, Coonawarra, Bordeaux or the Napa Valley. The 2013 Canberra vintage will be one to watch.. The very hot summer, the long, warm ripening season, and the lack of rain has been very kind to cabernet. 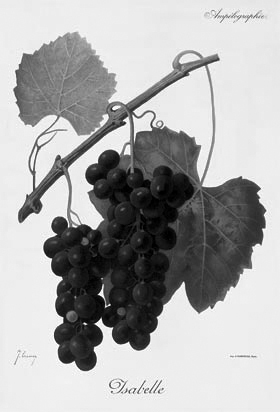 There should be just reward for those who have borne long and hard with this grape, with some great cabernet resulting.